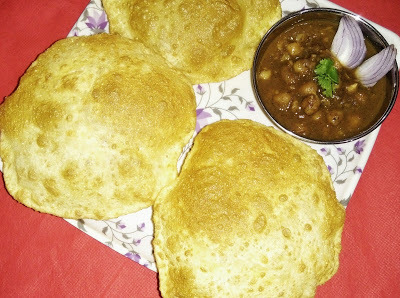 MyFoodPitara: Bhature recipe | Bhatura recipe | How to make Chole Bhature? Bhatura is one of the most popular breakfast dishes around north-west India and other parts of the country. It is an all-time favourite fried bread from Punjab made with maida served with chole, sliced onions, carrot pickle, and raita. 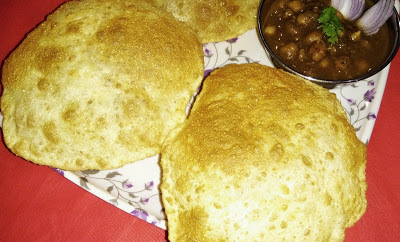 Bhatura is an inseparable member of famous Punjabi dish “Chole Bhature”. It is also a perfect meal for a weekend afternoon. It is easy to make at home. 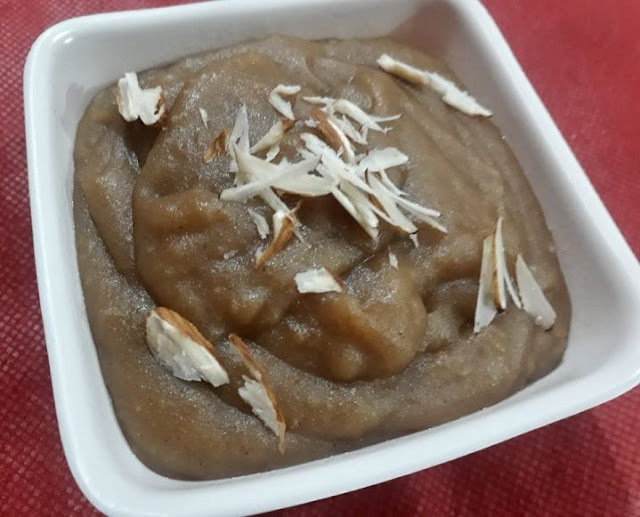 So try this recipe and share your experience with me. Combine all the ingredients (except oil) in a bowl and mix well. Add water and mix gradually to make a soft dough by light kneading. Add oil to the dough and cover the dough with a wet cloth. Keep aside in a warm place overnight (or for 5-6 hours) to allow fermentation to take place. Next morning, divide the dough into lemon sized balls. Grease your palms with a little oil and flatten each ball into a circle of 5” diameter. It should not be too thick or too thin. Heat oil in a kadai and deep fry the bhatura, one at a time on high heat till light brown on both sides. Remove on an absorbent paper. Serve hot with chole, raita, sliced onions or salad of your choice.